100K & 50-Mile @ 6:30 a.m. 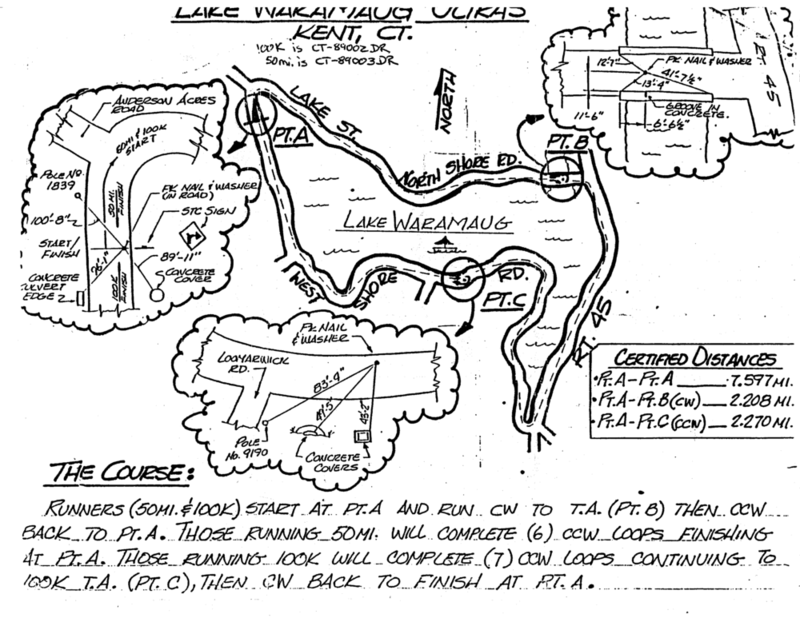 The course is slightly rolling loops, on smooth paved surfaces, around scenic Lake Waramaug. There is a 2.2 mile out and back at the beginning of the race for all runners. 50K runners will then do three 7.6 mile laps around the lake followed by a 1.9 mile out and back to the finish at the State Park. 50-mile runners will complete six laps around the lake and finish at the State Park. 100K runners will do seven laps around the lake followed by a 2.3 mile out and back to finish at the State Park. The custom designed belt buckles for all 100K, 50 Mile and 50K finishers. Check it out by clicking on the links below to pictures of the buckle and medals.